While playing DotA, many of you must have cursed yourself for letting that enemy escape with 10hp. Why? Just because that hero got out of your sight. What is this sight actually? The term Range of Sight, or Sight Range, is used to describe how far a hero will see on day/night without taking the terrain modifications into account. Allied units share vision around the map. You share sight with allied creeps, buildings/towers, heroes, summons, and illusions. Use the following information to organize team battles. 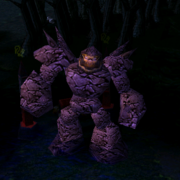 Balanar, Night Stalker: 1200 / 1800. So you now know that balanar can see you at night even when you can't. Meepo, Geomancer: 1800 / 1800. Ganking a nice meepo is never easy. These skills "mark" an enemy unit for a period of time. Bloodstone if charged, gives sight of the place where the owner of the item died. Animal Courier / Flying Courier. Shiva's Guard: The projectiles have 800/600 vision. i try to play, it's so better. all of u is so nub ! haha ! meepo's sight range is the same at night and day. How nice. Meepo's sight range is the same at night and day. How nice!